Jeffrey Springer - tenor Jerre Tanner - music and Harvey Hess - text "Naupaka logo" - John Paul Thomas The naupaka is a bush with two varieties, one growing within the tide line by the ocean and the other in the higher elevations of the mountains. 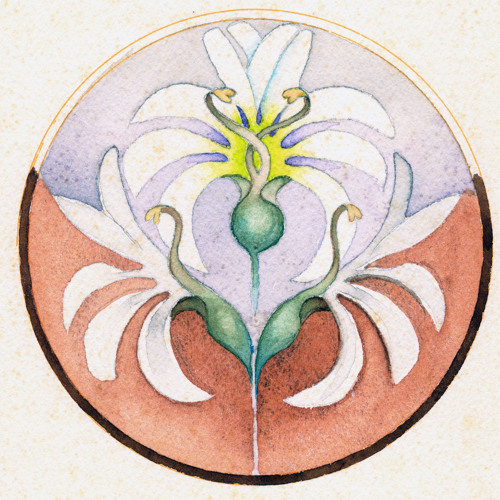 Both varieties share a curious little half-blossom from which many myths have arisen, all centering around star-crossed lovers who have used an imagined whole-blossom which they tear in half to be reunited later after an obstacle has been overcome, whatever the obstacle being the source of many variations. Harvey and I have chosen the "war" variation as the subject for our symphony as our way of protesting the Vietnam War in particular and other wars in which our country has involved itself over the decades. Users who like Tenor Aria from Symphony No. 1 "The Naupaka Floret"
Users who reposted Tenor Aria from Symphony No. 1 "The Naupaka Floret"
Playlists containing Tenor Aria from Symphony No. 1 "The Naupaka Floret"
More tracks like Tenor Aria from Symphony No. 1 "The Naupaka Floret"